Weeding takes place the first Sunday of most months. Winter hours 9am – 11am (beginning May). Summer hours start at 8 am, finish by 10am (beginning Oct). – See photos from weeding 1 May here and 4 December here. 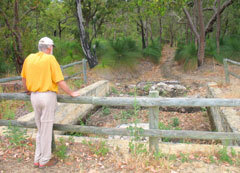 One of the most important ways to preserve the bush is to regularly rid it of invasive weeds, particularly in urban reserves such as Trigg Bushland, which are under constant attack from weeds in adjoining blocks as well as from street drainage – which unfortunately diverts into the bushland during rainstorms. Weeds are plants that grow in a place they are not wanted, or a place where they do not naturally occur. Most weeds have been spread directly or indirectly by human beings. FoTB members normally meet on the first Sunday of every month at 8am (summer) or 9am (winter) at the corner of Arnott St and Karrinyup Rd. Instruction and advice are given to new members. Weed collection bags are supplied by the City of Stirling, and morning tea is BYO. Weeding normally finishes about 11 depending upon the weather and how easily the weeds can be pulled! Look for the ‘roster sign’ and if you are late, ring the number posted on the sign to find us in the bush. It can be a very relaxing and enjoyable morning, with the added benefits that you are likely to see many interesting plants and insects, and that you are doing something of great benefit to the bush. The weeding site can change from time to time, so please contact FoTB if you are going to attend – you will usually be given a mobile number so that if you happen to be late you can still find the group, which may be working deep in the bush and impossible to locate. • Hand-pulling is a relatively gentle control method for seedlings, herbs and grasses. • Lupin and Euphorbia can be easily hand-weeded from the bush, particularly young plants that have not developed an extensive root system. • Hand-pulling is best carried out when the soil is damp, when the root systems are more easily dislodged and less damage is done to the soil structure. Pelargonium should only be hand-pulled when the soil is soft as the roots will snap off the main stalk, and re-sprout the following year. • Remove any seeds of fruit that are present and bag these for disposal, so that new plants will not grow from the seeds. 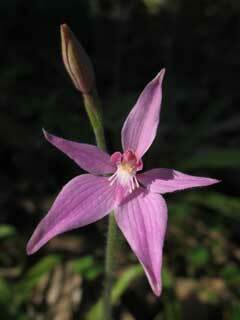 • Take hold of the plant firmly near ground level and pull. Avoid grabbing the plant too high as it is likely to break and remaining plant material may re-shoot. • After removing the plant, tamp the disturbed soil down so that seeds from other weeds will not sprout. • Bag all weeds and carry to the nearest path, for later collection by the City of Stirling. 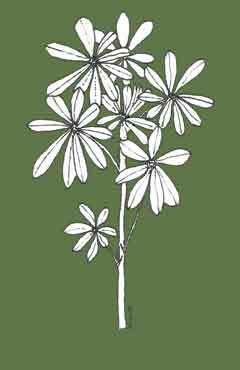 • Dig out plants with tougher root systems, such as Pelargonium. • Insert a trowel or fork into the soil outside the root system. Gently loosen the soil, work around the roots and then work the plant and roots out gently. • Take great care to ensure all Pelargonium roots come out, otherwise they we will re-sprout the following year. • It is important to minimise any disturbance to the ground. Do not scuff or kick the ground. • Take care where you walk, and try not to harm native plants. • Work slowly and methodically. Pace yourself. Relax and enjoy being in the bush! • Wear long pants, long sleeve shirt, hat, stout shoes and gloves at all times. • Ask a member of Friends of Trigg Bushland if you have any questions or are unsure about anything at all. • Do not handle any insects, etc that you may observe. Download a copy of our Weed Identification Guide and Weed Management Hints.